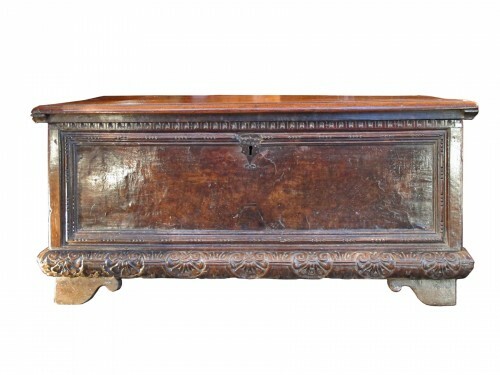 Of rectangular shape the front's chest is made of five compartments encased in moulded frame and inlaid with geometric pattern. 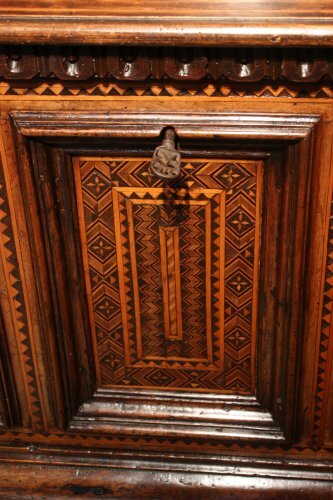 The dome-shaped lid is moulded and decorated with geometric frieze. 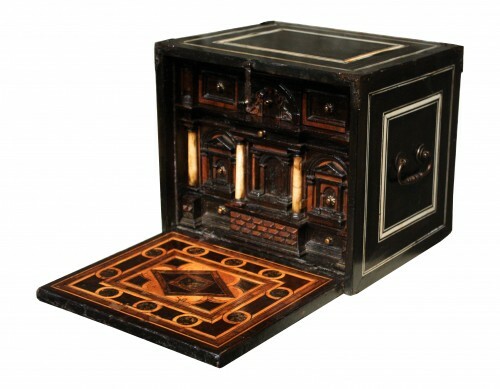 Both sides are inlaid with light wood threads forming superimposed and encased rectangles. 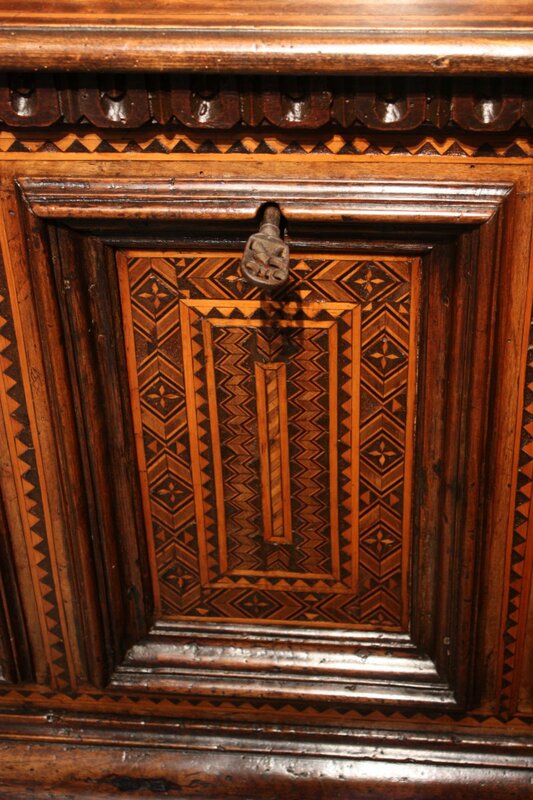 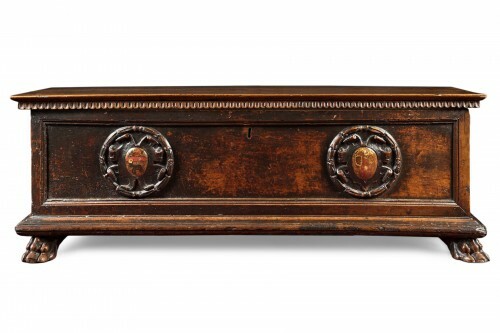 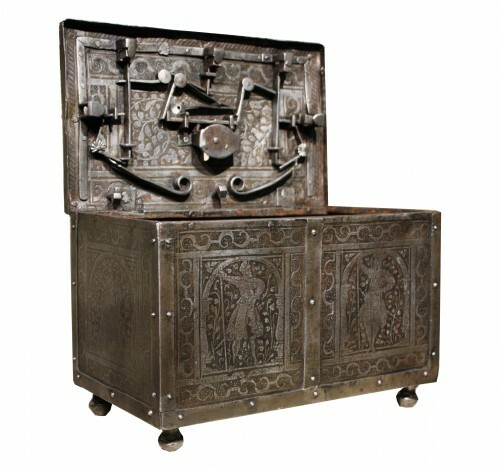 The chest has two wrought iron handles. 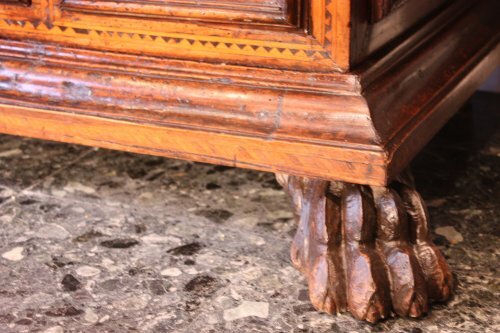 The base is framed with large moulding and the front feet is shaped as lion's claws. 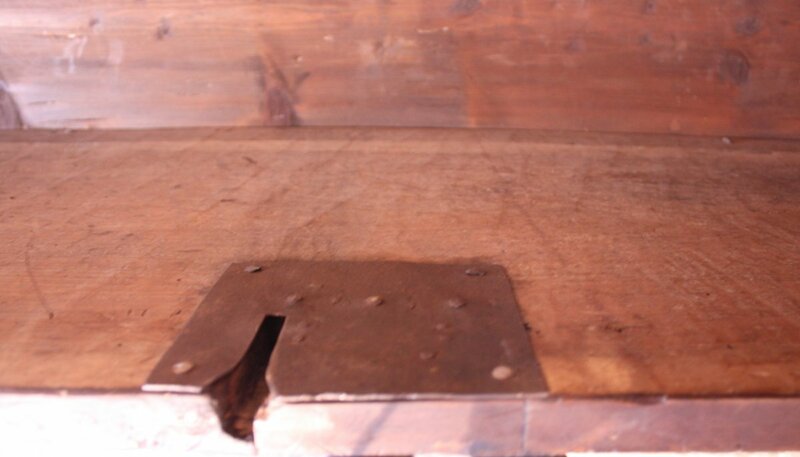 Very good condition, some repairs due to age: floor and rear feet replaced, the inner frame of the lid reinforced. 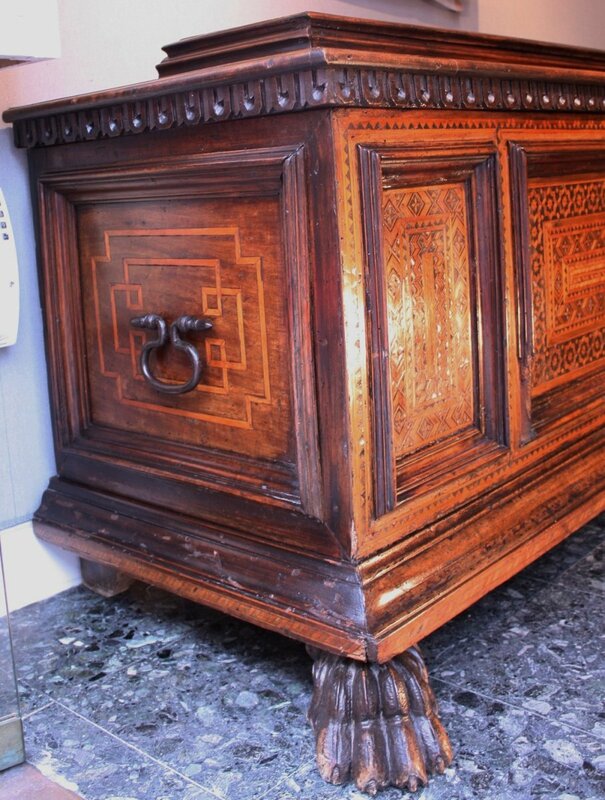 Measures: h. 69 cm, w. 205 cm, d. 65 cm. 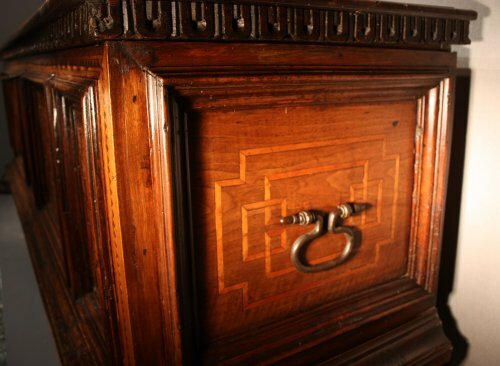 Cassone is an Italian word for chest. 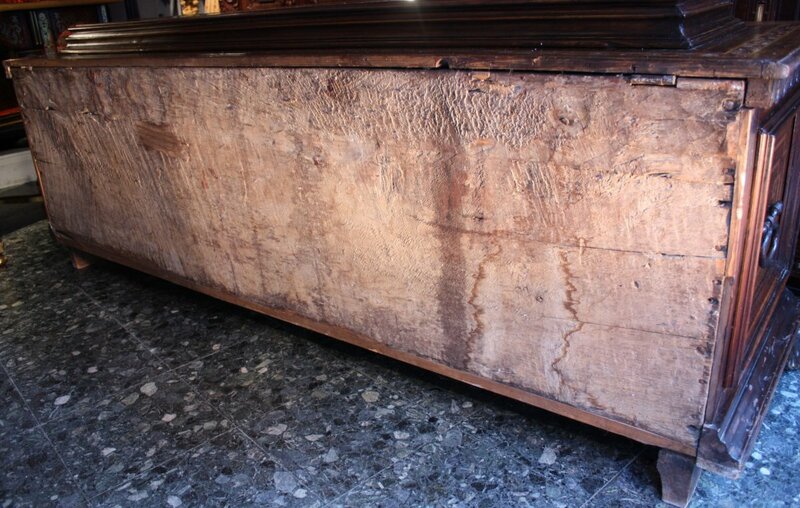 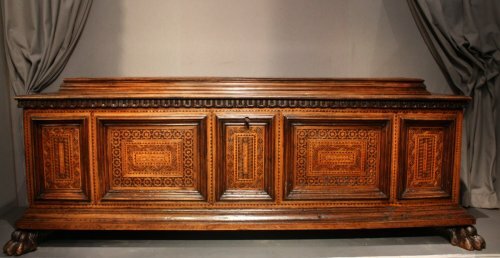 Thanks to its numerous functions, it is the principal piece of furniture till late Renaissance, when it's replaced by a chest of drawers. 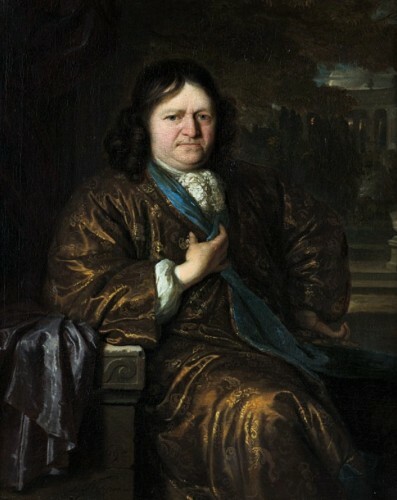 Florence was one of the most important production centers. 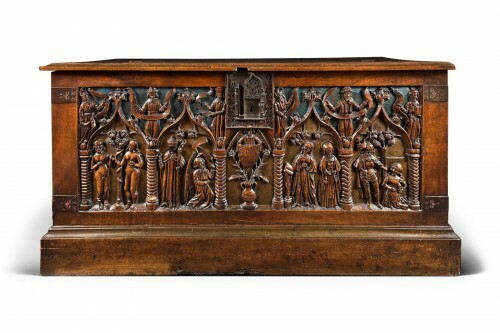 Traditionally cassone was given to newly wed as a wedding present by bride's family. 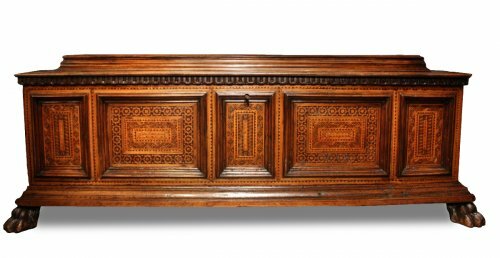 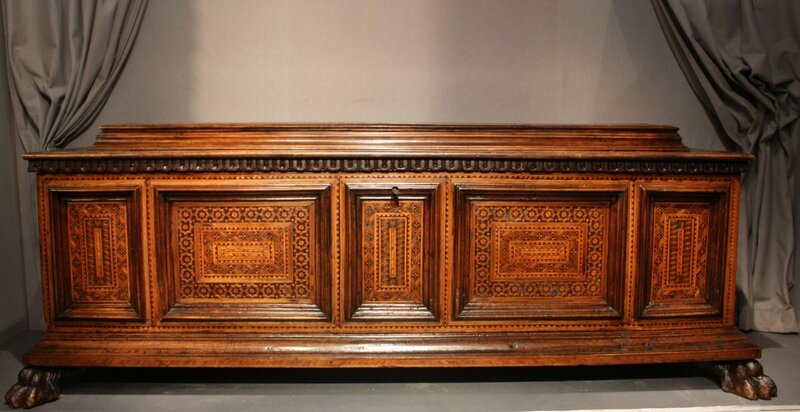 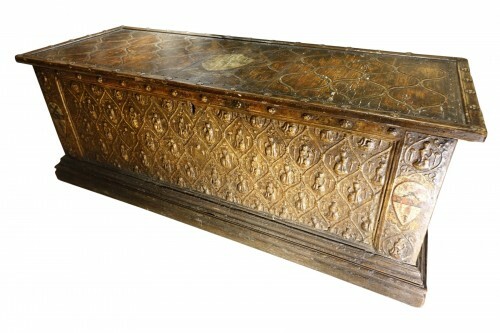 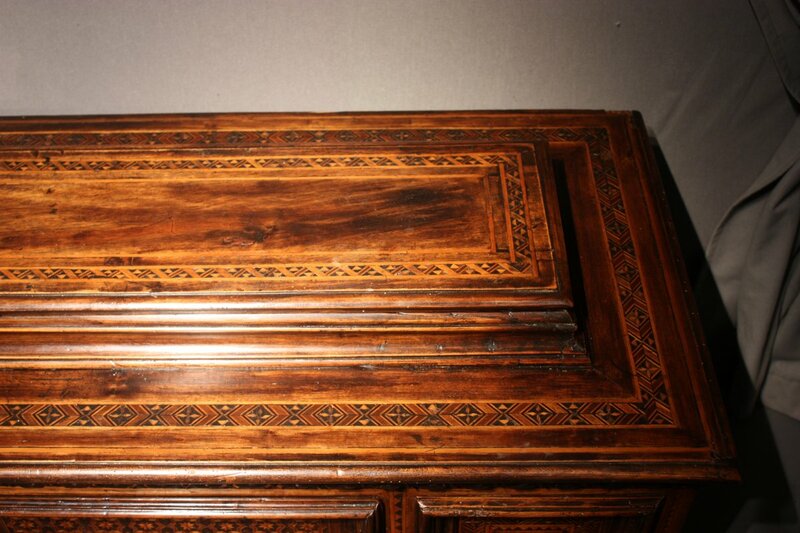 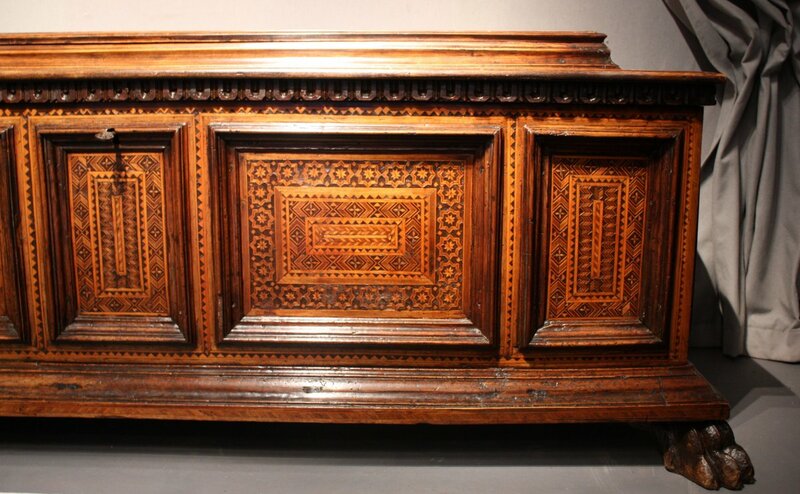 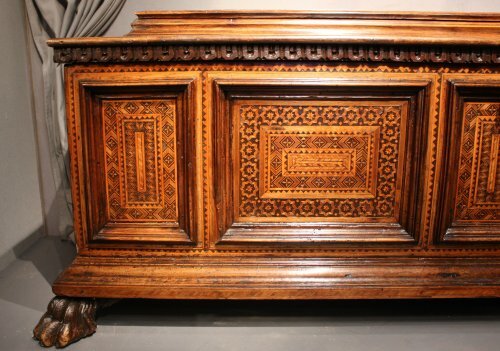 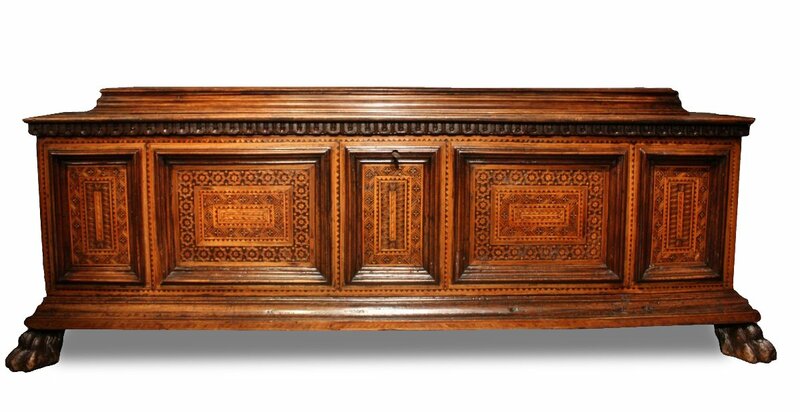 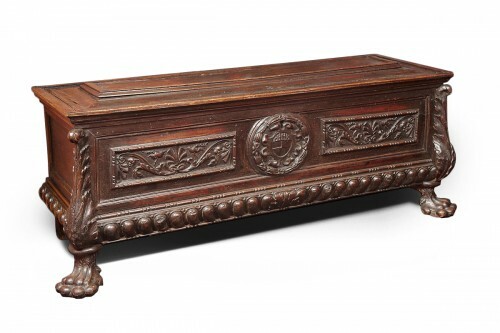 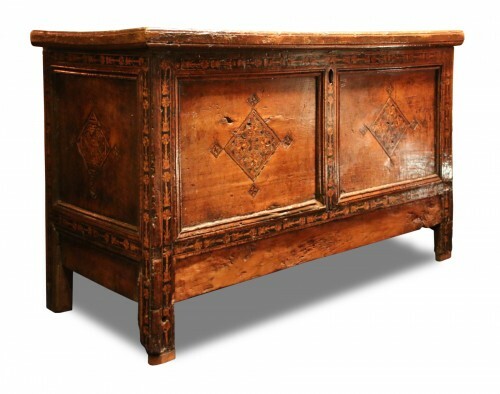 French carved and polychromed walnut chest "Louis XII"